Strategically incorporating a full array of props including sound, background, and lighting sets, Lou Johnson IS the entertainer who does it all with his Variety Arts! He also networks with several accomplished colleagues within the variety arts, an essential component for larger entertainment packages. From circus and sideshow to mentalists and illusionists, Lou can incorporate a specific network of entertainers into his appearances at events, festivals and parties. Lou Johnson’s BAM and Big Time variety shows are loaded with comedic ingenuity, and are completely interactive with audiences, thus making for memorable, hysterically funny, and magically entertaining shows. From the star-studded Magic Show Conference in Branson, MO, to the luxurious 5-star Broadmoor Resort in Colorado Springs, CO, Lou Johnson has brought his ALL-STAR brand of entertainment to 15 different states. 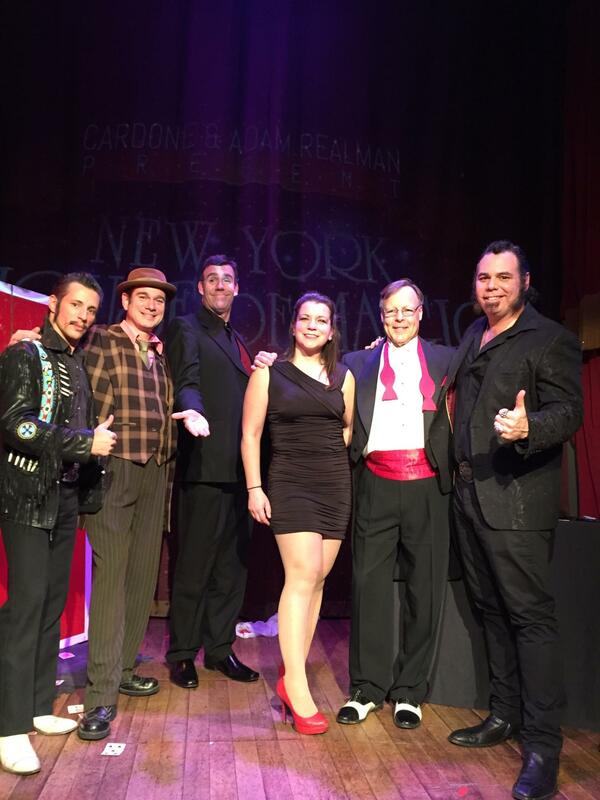 A fixture in the Long Island, NY area, Lou’s magic is often a part of trade shows, festivals, corporate promotions and private events throughout the Hamptons, Manhattan, and beyond.